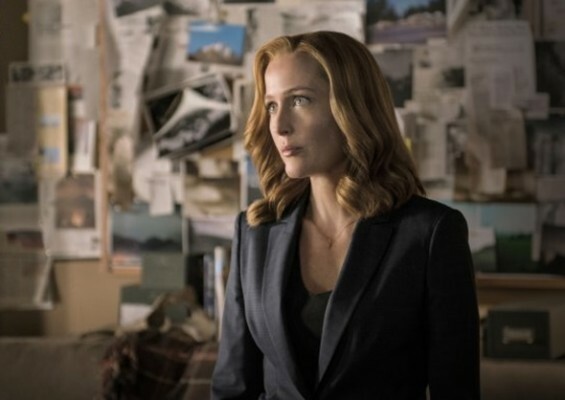 Is Gillian Anderson saying goodbye to The X-Files? TVLine reports season 11 will be the last for the FOX series star. Anderson plays Dana Scully on the hit sci-fi drama alongside fellow co-stars David Duchovny, Mitch Pileggi, William B. Davis, Annabeth Gish, Bruce Harwood, Tom Braidwood, and Dean Haglund. It’s unclear if season 11 will be the last for The X-Files as well. FOX has yet to renew the series, but the new season premieres tomorrow, January 3rd, at 8 p.m. ET/PT. What do you think? Are you an X-Files fan? Would you watch without Anderson? More about: FOX TV shows: canceled or renewed?, The X-Files, The X-Files: canceled or renewed? The X-Files: Would You Watch Season 12 Without Mulder or Scully? Wow! A real shocker. Not too sure about the follow up. I guess I’ll have to see the 11th season to decide, but I’m coming at this backwards… Mulder and Scully are such an item, the essential part, the foundation of the series.Still, I’ll give it a chance, there is so much left to be covered, now more than ever. I watch the show without Gillian. But I think the show would lose a lot of its original personality which was the combined chemistry of Scully and Mulder. This franchise would have to be very creative to come up with her substitute ‘cuz she and her history in the storylines are irreplaceable. Yea, That’s it for me too.